Punjab Technical University (PTU) was established in the Year 1997 under the Punjab Technical University Act, 1996(Punjab Act No. 1 of 1997) to provide for the establishment and incorporation of a University for the advancement of technical education and development thereof in the State of Punjab and for matters connected therewith. The University has affiliated 107 engineering Colleges, 140 Management and Computer Application courses, 33 institutions imparting Pharmacy education, 06 colleges imparting Hotel Management education, 08 Colleges providing Architecture Education and 21 Regional Centre for M.Tech and Ph.D in different branches of Engineering and Management and 01 Regional Centre for M.Pharmacy. More then 2100+ Learning Centres of PTU are providing professional education through Distance Learning all over the Country and abroad. 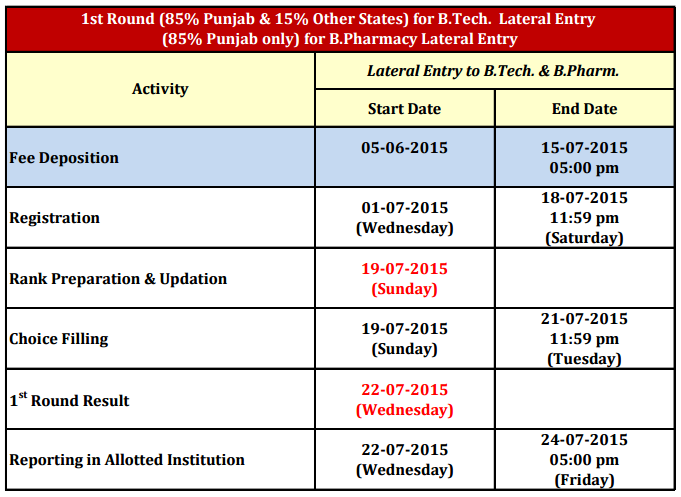 Punjab Technical University conducts online centralized counselling for admission in various courses. Various colleges are affiliated from PTU and take admission through centralized counselling of PTU Admission 2015. 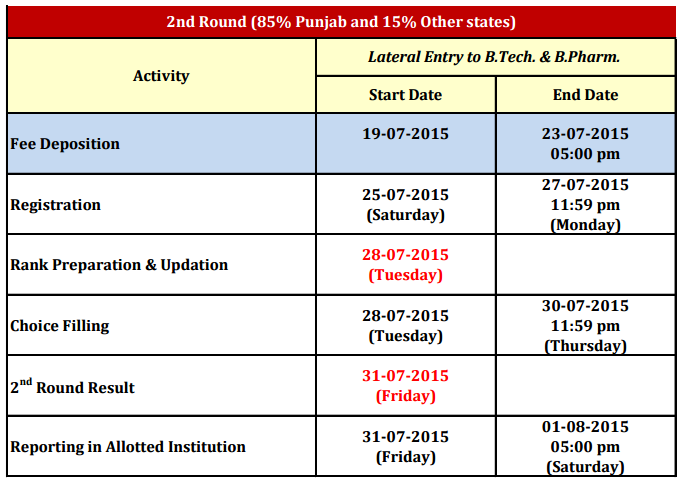 PTU Admission 2015 offers admission in different courses which are as follows. Candidate can check the details according to their interest and eligibility in the course. All the candidate need to apply online for PTU Centralized Counselling 2015 and fee payment for counselling. Fee has to be paid by all the candidate in order to take part in counselling. The fee is Rs 2000 which is for one time only. Click on the link to create a new account. You will receive a confirmation email or SMS confirming your registration and your login-ID and password. On the screen, select the courses for which you want to make fee payment. 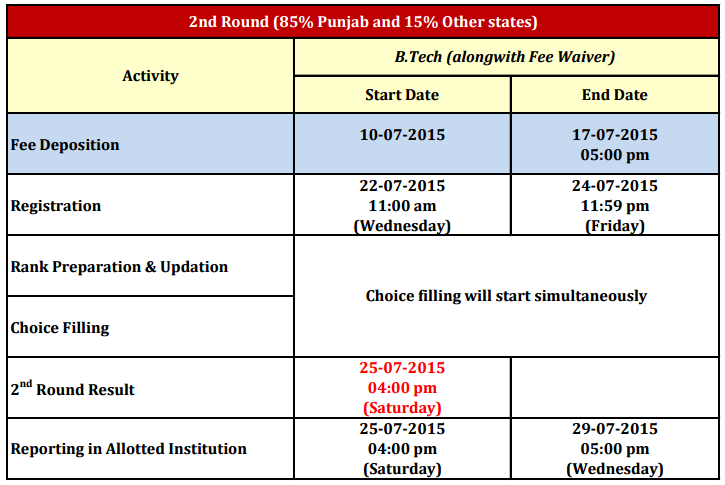 Click here for complete procedure of PTU CENTRALIZED COUNSELLING 2015 fee payment.